Prometheus Bound is a 5th century BC Greek tragedy attributed to the playwright Aeschylus. It recounts the myth of Prometheus, a Titan who defies the gods and gives fire to mankind. Prometheus is famously subjected to perpetual punishment for this kindness, becoming a precursor to rebel heroes of literature and popular culture, who stand against tyranny and suffer for the freedom of others. In Greek mythology, Prometheus (Προμηθεύς, meaning “forethought”) is is credited with the creation of man from water and earth and for enabling the progress of civilization. Prometheus not only gives the gift of fire to mankind but he also teaches humanity all the civilizing arts, such as writing, medicine, mathematics, astronomy, metallurgy, architecture, and agriculture. Prometheus Brings Fire by Heinrich Friedrich Füger. The Titans, of which Prometheus is one, were members of the second generation of divine beings in Greek mythology succeeding the primordial deities born from the void of Chaos. The Greek story of creation, much of which entails the violent warring between the primordial deities such as Gaia (earth), Uranus (sky) and Chronos (time) is said to have been adapted by Hesiod from eastern creation myths such as the Babylonian Enuma Elish. [Men] lived like gods without sorrow of heart, remote and free from toil and grief: miserable age rested not on them; but with legs and arms never failing they made merry with feasting beyond the reach of all devils. When they died, it was as though they were overcome with sleep, and they had all good things; for the fruitful earth unforced bare them fruit abundantly and without stint. They dwelt in ease and peace. The peace of the Golden Age was upturned when Chronos was overthrown by his son Zeus, to establish the reign of the Olympians gods or the Silver Age of Greek mythology. According to Hesiod, the Titan Prometheus supported Zeus in his war against Chronos, however later undermined Zeus’s authority by thwarting his plan to obliterate the human race, and further helping humanity by stealing fire for them (Hesiod, Theogony, 565-566) . Zeus sentences the Titan to eternal torment for his rebellion by ordering him to be bound to a rock, where each day an eagle, the symbol of Zeus, was sent to eat his liver, which would then grow back overnight to be eaten again the next day and forever. Years later, the Greek hero Heracles, descendant of Zeus, slays the eagle and frees Prometheus from his torment (520–528). In Hesiod’s account, Prometheus is no hero. He contributes to human suffering by gifting humanity fire and granting them independence from the gods, and loss of innocence. On the other hand, in Aeschylus’ play, Prometheus is portrayed as the rebel with a conscience, whose crime – his love of the humans he created – brings not only the rage of the gods, but eternal suffering and the sympathy of the human audience. In the late eighteenth and early nineteenth centuries, the Romantic artists admired the Promethean figure, using him a a foundation for the Romantic hero who, resisting the oppressive forms of society foresees a future in which all such repression will be overthrown. In light of the Napoleonic wars, the American war of Independence, the French Revolution and other struggles of the era, the emancipation of humanity from tyrannous rule was indeed topical and required a strong, emancipating hero. ‘Triumphant’ by ‘making Death a Victory’ (ll. 58–9). As such the figure of Prometheus [bringer of fire] was compared with Milton’s defiant character Lucifer [bearer of light]for embodying the spirit of rebellion. On the other hand, other Romantic writers saw the Promethean hero to prefigure Christ, as a divine being who suffers horrible tortures for the sake of mankind in face of the will of the gods. How then could one literary figure represent both Christ and Satan, holding qualities of both rebel and sacrificial hero? Shelley’s version of the Promethean hero focuses upon transformation, made possible by the act of forgiveness. 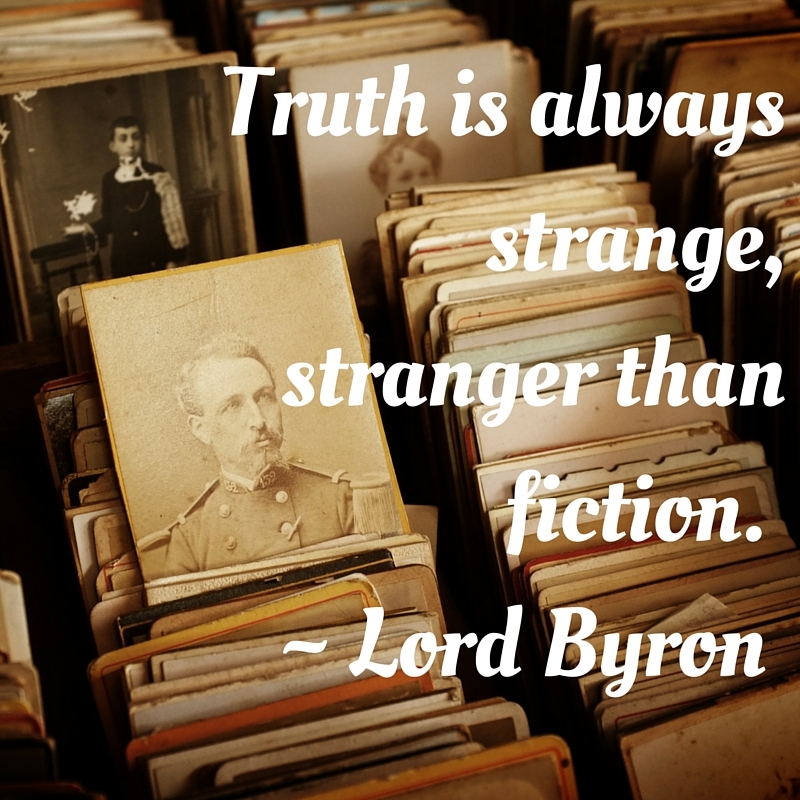 While Byron’s retelling of the Promethean myth puts the emphasis exclusively upon defiance, Shelley’s hero forgives his oppressor, and suffers for his creation, setting in motion a process which leads to a new world, freed from oppression. 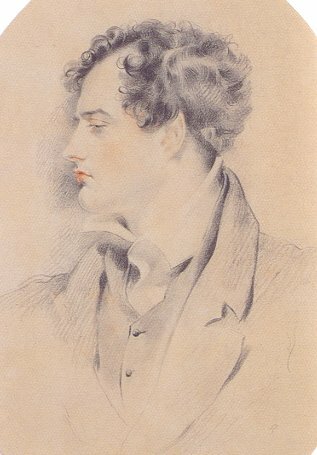 Writing to the political climate of his day, Shelley rejected the cycle within history of replacing one tyrant with another. … until the mind can love, and admire, and trust, and hope, and endure, reasoned principles of moral conduct are seeds cast upon the highway of life which the unconscious passenger tramples into dust, although they would bear the harvest of his happiness. As such Shelley’s Promethean hero, champions free will, goodness, hope and idealism in the face of oppression. This post is dedicated to Tamlyn, whose birthday it is today !! 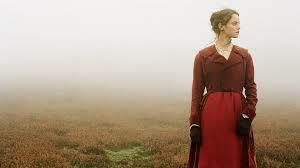 Wuthering Heights by Emily Bronte is considered to be a classic of English literature. 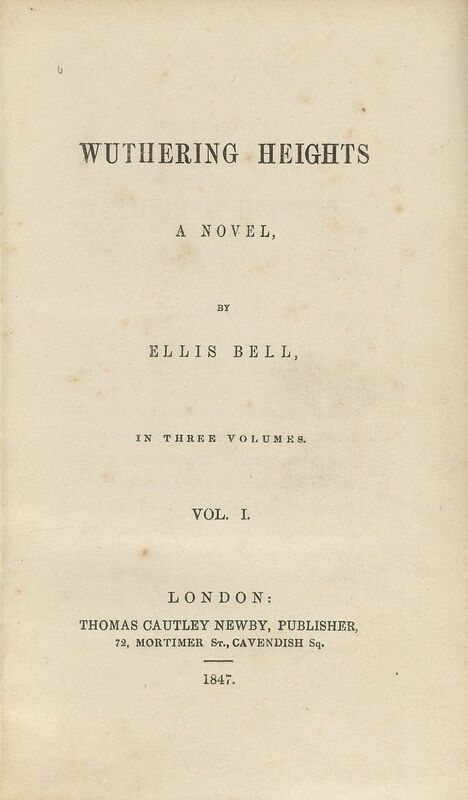 Written in 1846, it was published in 1847 when Bronte was 29 years of age. It was her only novel and her premature death meant she never knew of the popularity and fame the work would bring her. The novel is characterised by its dark gothic tones and was met with mixed reviews because of its depiction of mental and physical cruelty. It challenged strict Victorian ideals of the day, featuring religious hypocrisy, immorality, class and gender inequality. But its enduring popularity demonstrates that it is the depth of love between the two protagonists, Cathy and Heathcliff, both profound and tragic that resonates with its readers. It would degrade me to marry Heathcliff now; so he shall never know how I love him: and that, not because he’s handsome, Nelly, but because he’s more myself than I am. Whatever our souls are made of, his and mine are the same; and Linton’s is as different as a moonbeam from lightning, or frost from fire. Foolishly she believes she can use her marriage to better Heathcliff’s position in life and have him close. In fact, he departs and returns a wealthy man but remains tormented even after her early death. Heathcliff is Byronesque, the archetype of the tortured romantic hero whose all-consuming passions destroy both him and those around him. Those deeds the bolder spirit plainly did. The hearts that loath’d him, crouch’d and dreaded too. Doubtless, Bronte was influenced by such a character. She should have been a man – a great navigator. Her powerful reason would have deduced new spheres of discovery from the knowledge of the old; and her strong imperious will would never have been daunted by opposition or difficulty, never have given way but with life. She had a head for logic, and a capability of argument unusual in a man and rarer indeed in a woman… impairing this gift was her stubborn tenacity of will which rendered her obtuse to all reasoning where her own wishes, or her own sense of right, was concerned. So Emily Bronte wrote a novel of a man, Heathcliff who is Byronesque in character; perhaps she wrote of herself, wild and free yet trapped by the world she inhabited? Or is it Cathy and the choices she faces that Emily presents as though her own? Cathy’s choice has terrible consequences. The violence visited on Heathcliff by Hindley and others did not come close to the cruelty of Cathy’s actions. Linton? Because misery, and degradation, and death, and nothing God or Satan could inflict would have parted us, you, of your own will, did it. I have not broken your heart — you have broken it; and in breaking it, you have broken mine. So much the worse for me, that I am strong. Do I want to live? What kind of living will it be when you——oh, God! would you like to live with your soul in the grave? The novel is a figure of 8, completing one circle when, before Cathy dies, she is reunited briefly with Heathcliff. The second loop does not fully close until their children are fully grown and Heathcliff himself dies, finally reconciling him to Cathy in the graveyard. 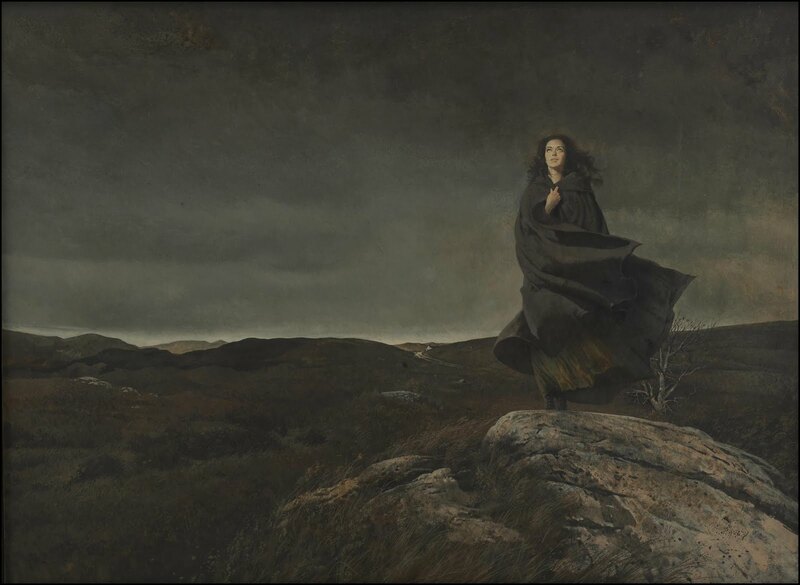 The novel is a tragedy in all regards, except that shepherds report the ghosts of Cathy and Heathcliff haunt the moors. True love, thwarted by social class, race, hypocritical choices and hubris – only finds peace beyond death. The choice Cathy made is not unlike the primal choice of humans to their maker. Their decision to take knowledge of “good and evil” was perhaps thought at first to better themselves and still maintain a relationship with God. But instead they perished. how cruel you have been – cruel and false. Why did you despise me? Why did you betray your own heart?…. you have killed yourself….. I have not broken your heart – you have broken it; and in breaking it, you have broken mine. While Heathcliff is left cruelly to live on alone, the other story tells of the lover that followed us into death, and restores relationship with us beyond death. That’s a love story I love to read again and again and again.